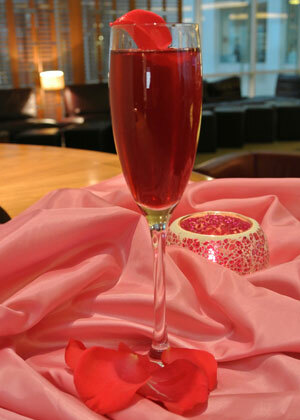 Give champagne a romantic twist with this love at first sparkle cocktail. Fizz is mixed with Pimm’s, lemon juice and elderflower cordial for a seriously sultry sip. 1. Add the Pimm’s Blackberry & Elderflower, squeeze of lemon and elderflower cordial into a cocktail shaker. Strain into a flute and top with champagne. Garnish with a couple of fresh rose petals or a twist of lime peel.